Moody. You can be that with black and white film. And a drifter, if you like to get outside and explore your world with a camera. 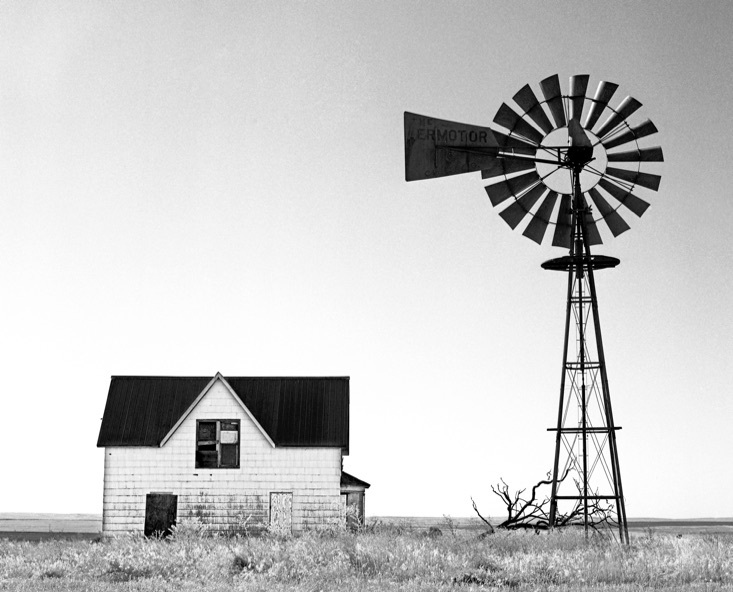 My favorite world is rural America. I'm drawn to things that are rusty, abandoned and forgotten. Like the farmhouse above in eastern Washington. 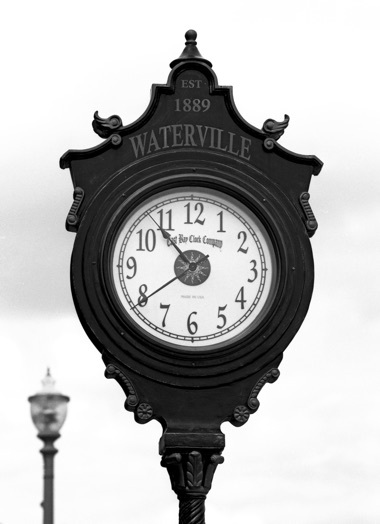 The street clock in Waterville, Wash., still keeps time in a timeless farm community. I saw a man drive through a main street intersection on a riding lawn mower. 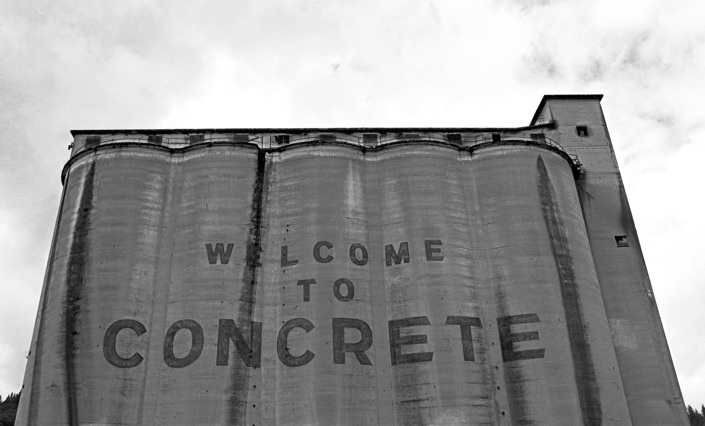 The cement silo is located in Concrete, Wash. In 1938 panic swept through town as locals listened to Orson Welles' The War Of The Worlds radio broadcast of a mock alien invasion. Some people ran for the hills to guard their moonshine operations. A power outage that night helped fuel panic. Calm returned by morning.